The Prototypes, Maintenance and Metrology (PMM) service is an original service at the Institute focuses on design and realization of prototypes and automation systems. It is able to take in charge all stages of development (or a part of them) ranging from design to manufacturing. The PMM service has technical means: CAD electronic and mechanical design, Software development, Computer numerical control, 3D printer. 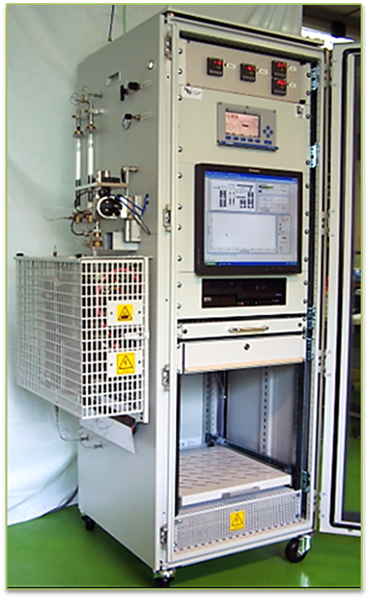 The PMM service develops test means, research facilities, sampling devices, systems of physical quantities acquisition, controller housing, automation of manual operations, tubular furnaces (up to 1000 ° C), …, with coupled software. The PMM service studies your request and evaluates its feasibility as well as its cost. It is able to support the realization of the prototype, or even a pre-production, by rolling out the design phases (plan, electronic card, sensor selection, software for data acquisition and processing) and manufacturing (electronics, machining Mechanical parts, welding, possible subcontracting, and assembly).